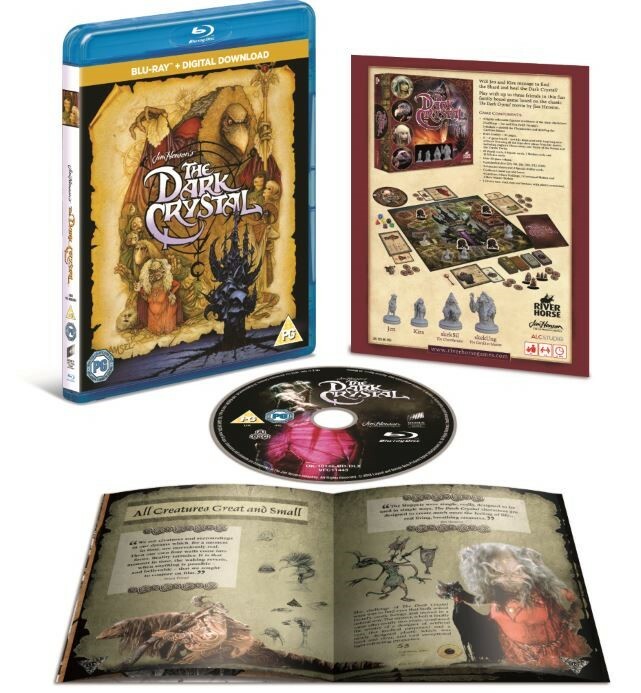 The masterful fantasy epic from the brilliant Jim Henson THE DARK CRYSTAL is a visually spectacular tale of a young hero who must find a legendary relic in order restore harmony to the universe. It has been fully restored in 4K from the original camera negative. Additionally, the Blu-ray includes a collectable 30 page booklet with rare archival photos and behind-the-scenes stories. Included among the hours of archival bonus material on the Blu-ray disc is the all-new featurette “The Myth, Magic and Henson Legacy,” where fans go behind the scenes of this iconic film with insight from Lisa Henson and Toby Froud. THE DARK CRYSTAL on 4K Ultra HD includes Dolby Atmos audio and is presented in full 4K resolution with HDR. The 4K restoration also serves as the basis for the 1080p HD presentation on Blu-ray. In another time, The Dark Crystal was the Balance and Truth in the Universe, but was destroyed dividing the world into two factions: the wicked Skeksis and the peaceful Mystics. Now as the convergence of the three suns approaches the Crystal must be healed or darkness will reign forever. It is up to Jen, the last of his race, to carry out the prophecy that a Gelfing will return the missing chard of crystal and destroy the Skeksis’ evil Empire. But will Jen be up to the challenge of battling the unknown? Directed by Jim Henson and Frank Oz with producer Gary Kurtz (Stars Wars, The Empire Strikes Back), The Dark Crystal is a fantasy masterpiece weaving a timeless myth of Good and Evil. Go behind the scenes of this iconic film with stories from Lisa Henson and Toby Froud. THE DARK CRYSTAL has a running time of approximately 1 hour 33 minutes and is rated PG.